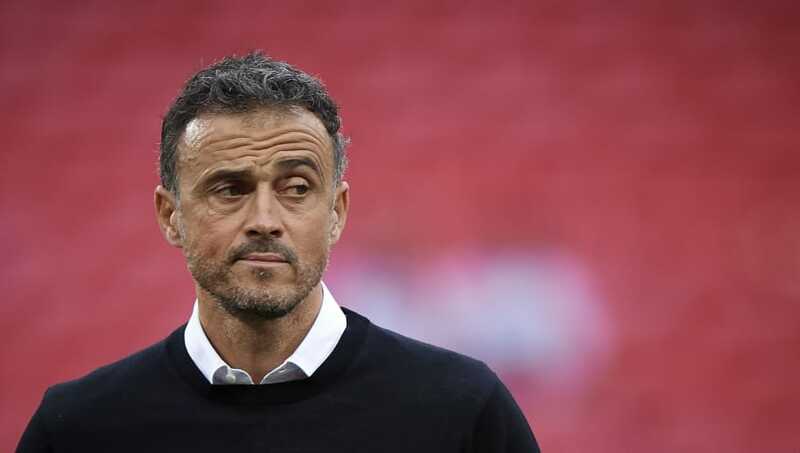 ​Spain boss Luis Enrique has waded back into the rivalry between Barcelona and Real Madrid, not even 18 months after leaving his post as manager at the Nou Camp. Enrique was asked ahead of his side's match against World Cup finalists Croatia on Tuesday whether he believed Luka Modric deserves to win FIFA's 'The Best' award - for which he is shortlisted alongside Liverpool's ​Mohamed Salah and newly-minted Juventus star ​Cristiano Ronaldo. Given the chance to talk up the ​Real Madrid star ​ahead of the match, Enrique instead chose to swing the conversation in the direction of ​Barca and Argentina's ​Lionel Messi, saying: “If I have to talk about Croatia, I would talk about Modric and [Ivan] Rakitic. Either of the two could receive any award. Enrique's words are unlikely to do anything to cool accusations of bias towards his former side from the fiercely partizan Madrid media, although a Real-heavy squad for Nations League fixtures against England and Croatia this month has gone some way to soothing the fragile egos of those at Marca and AS. Only Sergio Busquets and Sergi Roberto made the journey from the Nou Camp to the national team setup - with Jordi Alba left out due to a long-standing disagreement with Enrique - while six Real Madrid players made the cut and were joined by Atletico pair Rodri and Saul Ñiguez.